Lowen, stands for ‘low energy’ – but it’s also Cornish for happy. Lowen is undeniably the jewel in our crown. Words don’t do it justice – you really have to see it. It’s earthy and organic, almost as if it might have grown out of the ground. 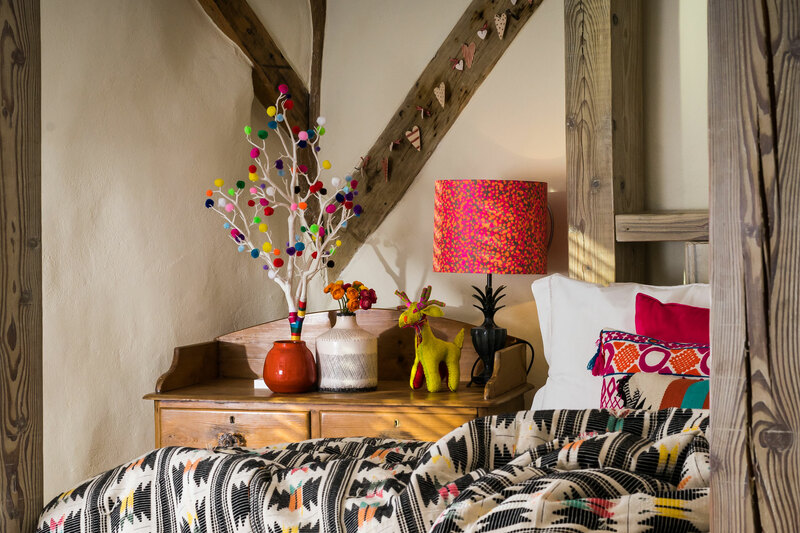 The name, Lowen, stands for ‘low energy’ – but it’s also Cornish for happy. 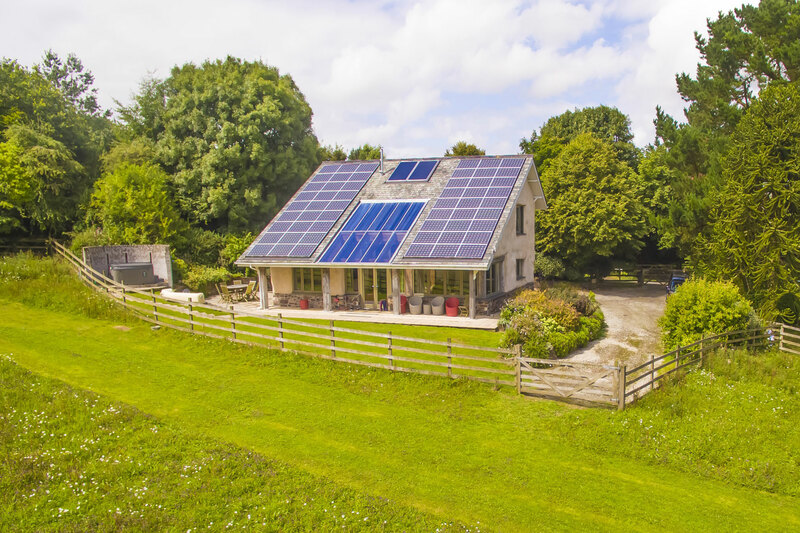 It’s a zero carbon, energy self-sufficient house. It uses energy from the sun and ground to provide electricity, heating and hot water for guests. And it also sends surplus electricity back to the grid. Lowen also has a Type 2 EV charging point for electric vehicles. 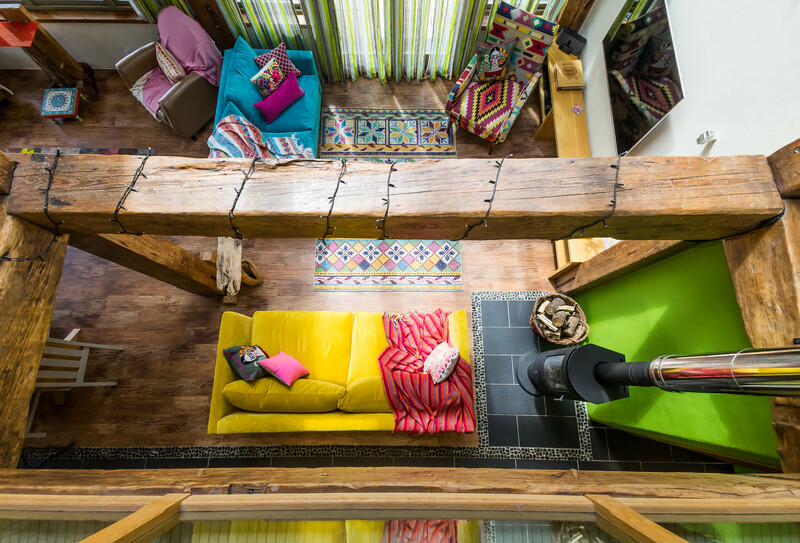 Everywhere you look there are huge wooden beams, reclaimed from demolition and impossible to replace. 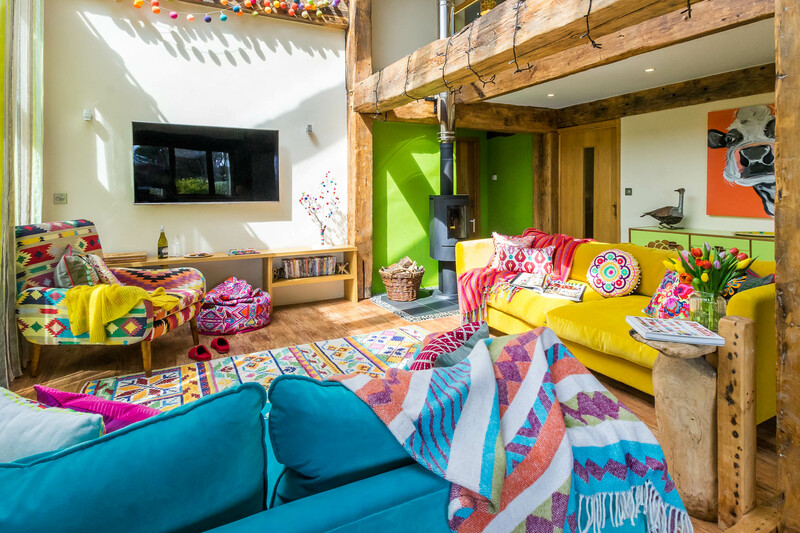 We put them together like Meccano and filled in the gaps with straw bales, pegged with hazel twigs, reminiscent of a ‘Grand Designs’ project – covering the structure with lime mortar and breathable Eco paint. We have left some peep holes for you to look inside and hope you will be intrigued as we were when we set out to recreate a building using traditional regional methods of construction. 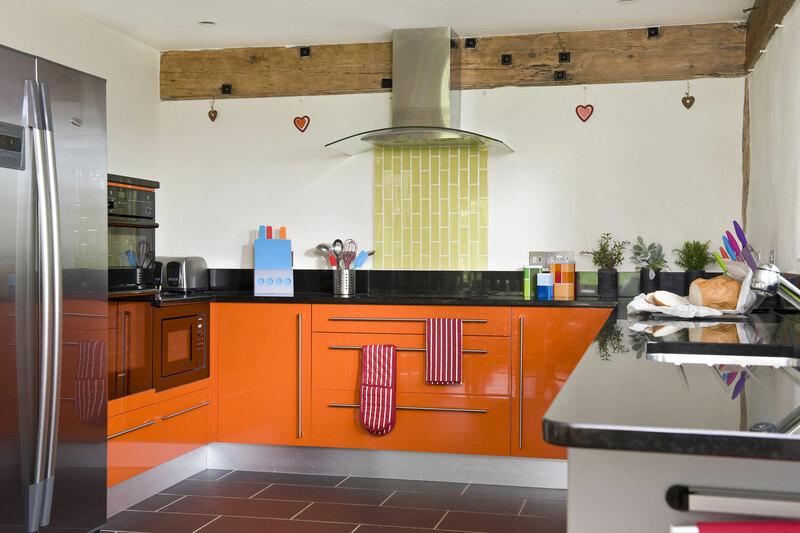 The kitchen is large and bright orange with a range of luxury fittings, including a Smeg retro style fridge/freezer, electric cooker with induction hob, Fired Earth tiles, slate floor and granite work tops. 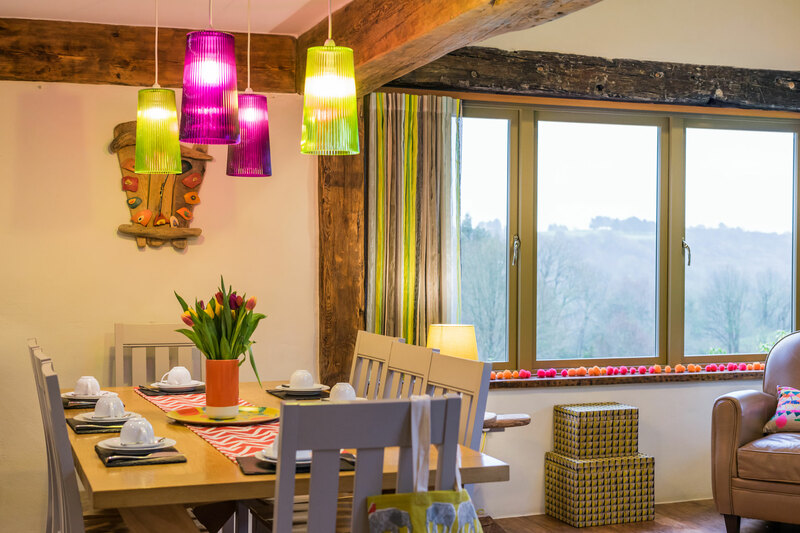 We provide everything you might need to rustle up a family feast or a bumper holiday breakfast fry up. 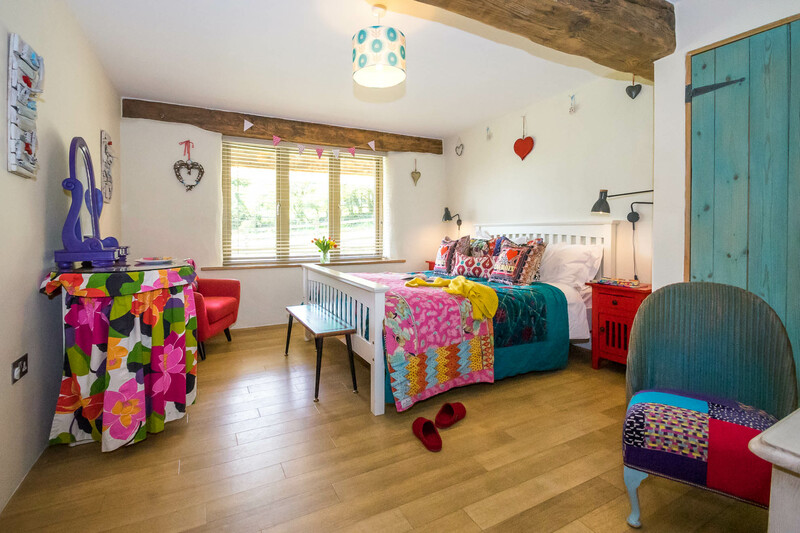 On the ground floor there’s a twin bedroom with two 3ft single beds and a king size bedroom with a shared wet room with walk in power shower and stylish fitments suitable for guests who use a wheelchair. 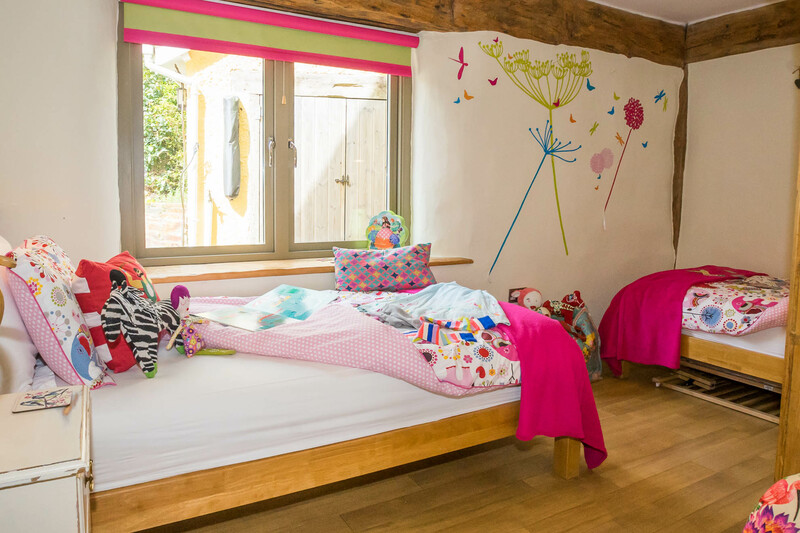 The first floor has a super king bedroom with zip-link beds (can be made into twin beds) with lovely views over the valley to the golf course beyond, and en-suite bathroom (shower over the bath). 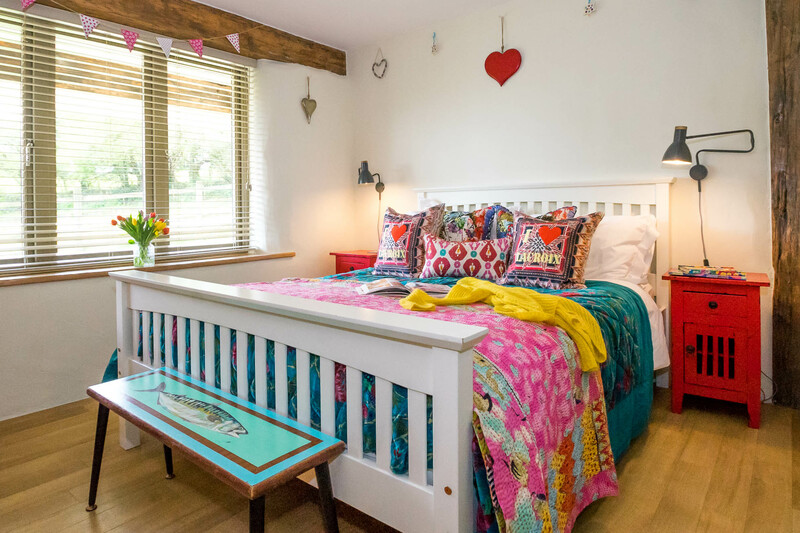 Another double bedroom with a four poster bed and en-suite shower room can be found on the opposite side of the interior glass balcony which gives a wonderful feeling of space and light. Outside, there’s is a sheltered patio with outdoor furniture and a fire pit perfect for al fresco group get-togethers. There’s a hot tub in the garden with glorious views over the fields in the day and perfect and of the star-strewn sky at night. 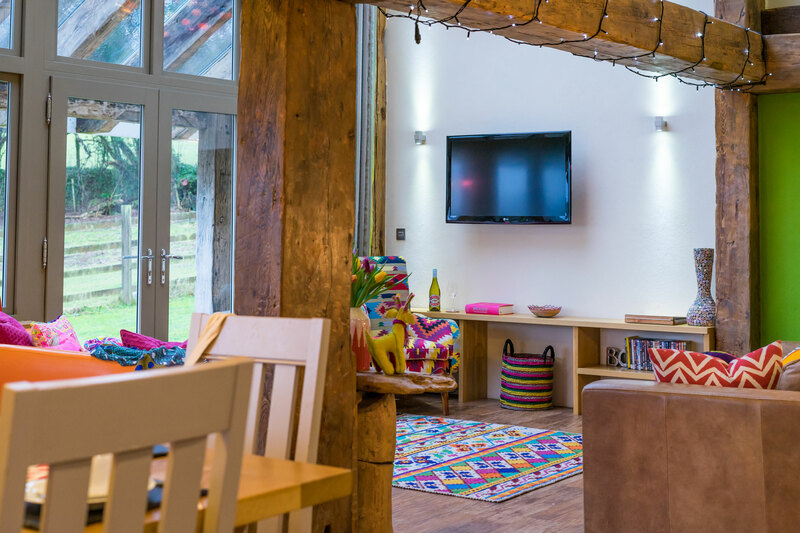 Indoors, you’ll find Sky TV and 42” LED wall-mounted screen – perfect for a group film screening or showing family films and photographs. And check out the display screen in the hallway – you can see how much energy is being produced at any time, for free! 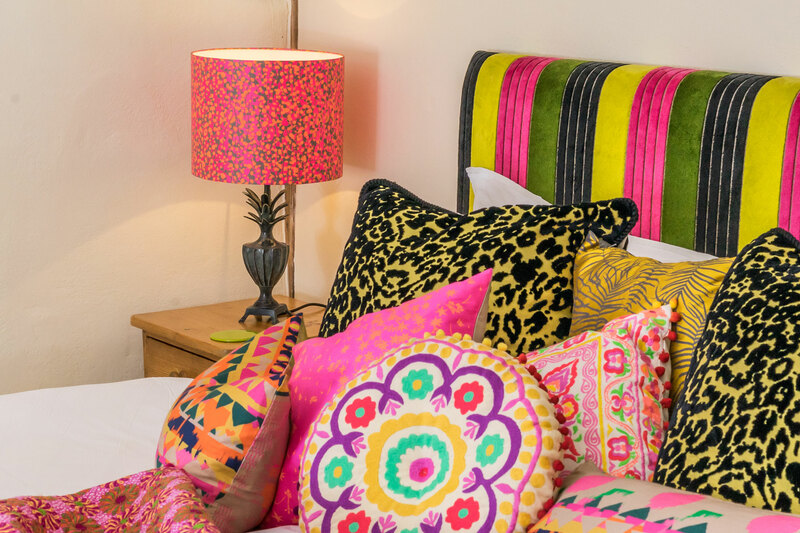 Best for: Large families, hen parties or groups of friends looking for a totally unique, indulgent self-catering holiday experience. 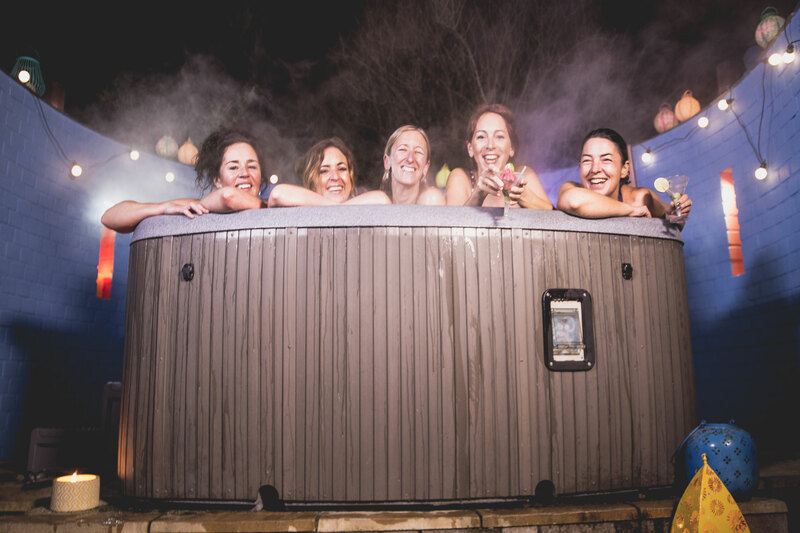 Please note: A deposit of £200 is required upon arrival to mitigate against misuse of or damage to our hot tub (which has to be drained and refilled if abused) – this is fully refundable on departure if no damage is incurred. 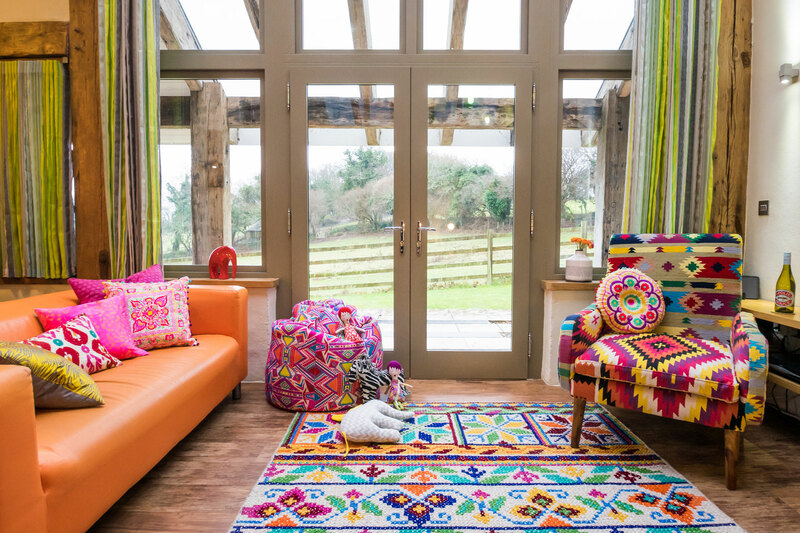 If you’d like to find out more about how we built Lowen and sourced the materials, you can read our build diary and download our Lowen key facts pdf here. 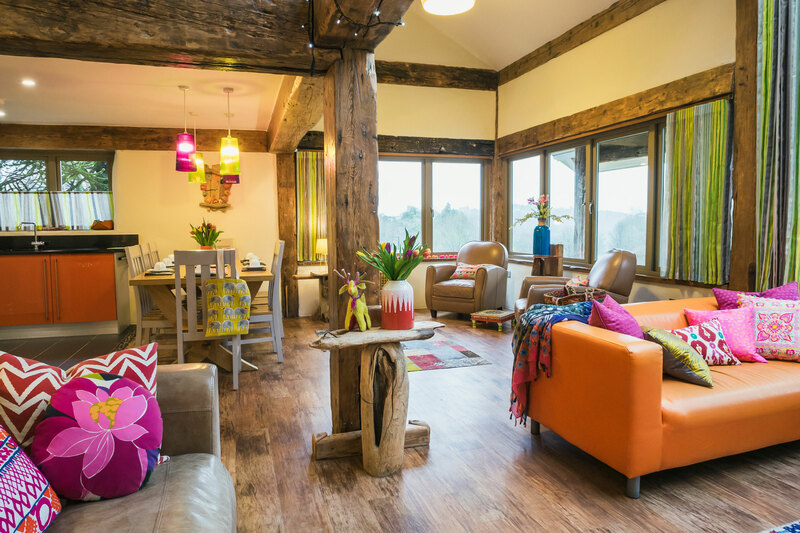 For more about Lowen as a venue for a hen weekend with a difference, check out a recent guest’s blog post for Wed Magazine “Hens, Friends and Long Weekends” about her stay with us. 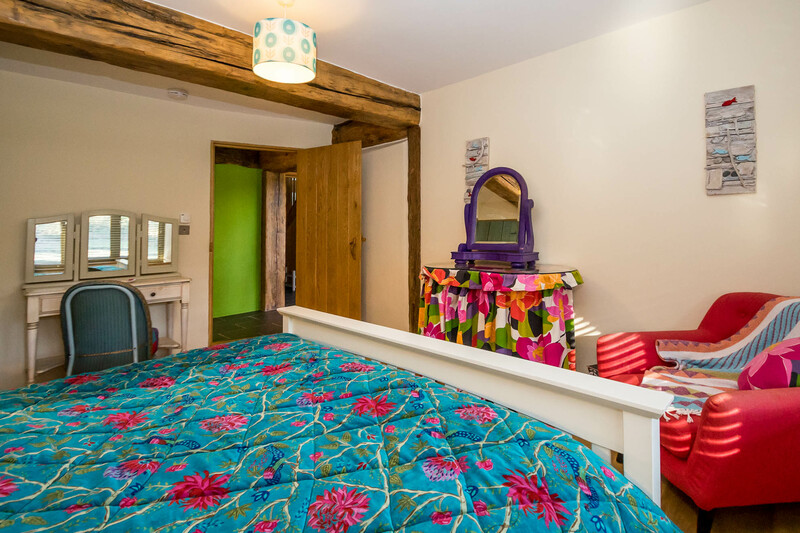 Ground floor – twin bedroom and king size double with shared wet room. 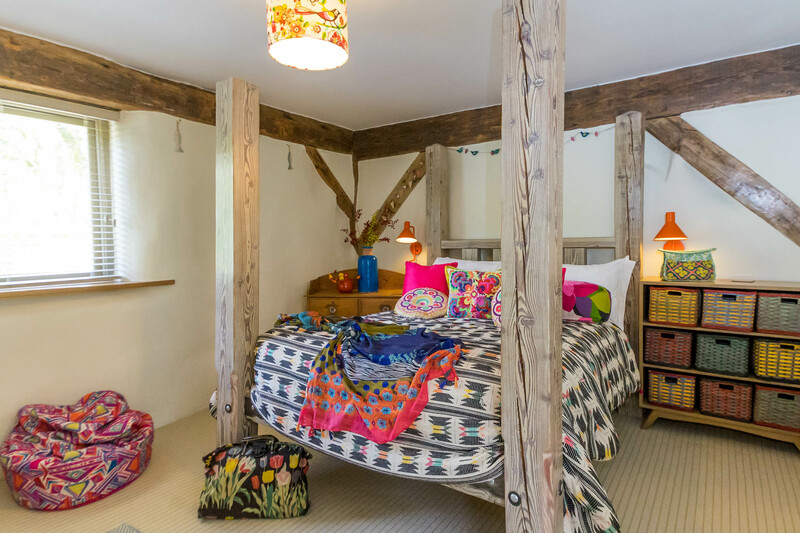 Upstairs – super king bedroom with zip-link beds (can be made into twin beds) with en-suite bathroom (shower over bath), double bedroom with en-suite shower room. The ground floor is accessible for disabled/wheelchair users with wide doors and grab rails. There’s level parking right outside. 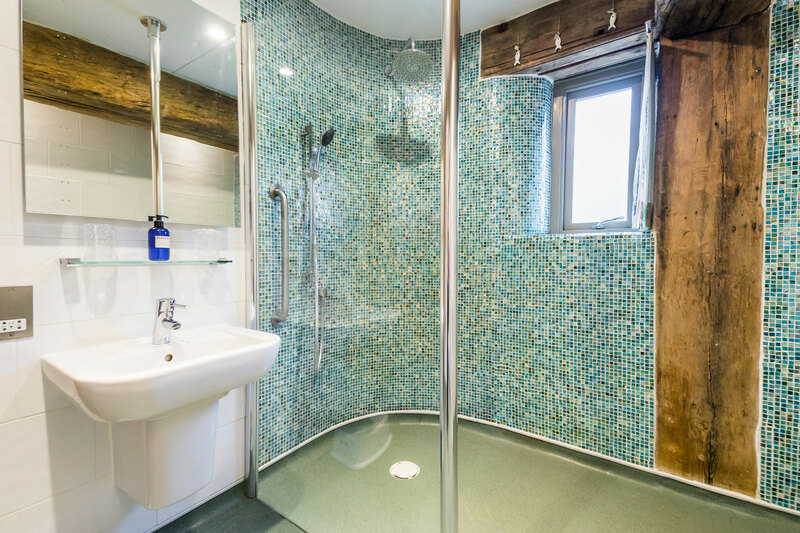 Lowen’s wet room has non-slip flooring, grab rails, wheelchair access and use of shower wheelchair. 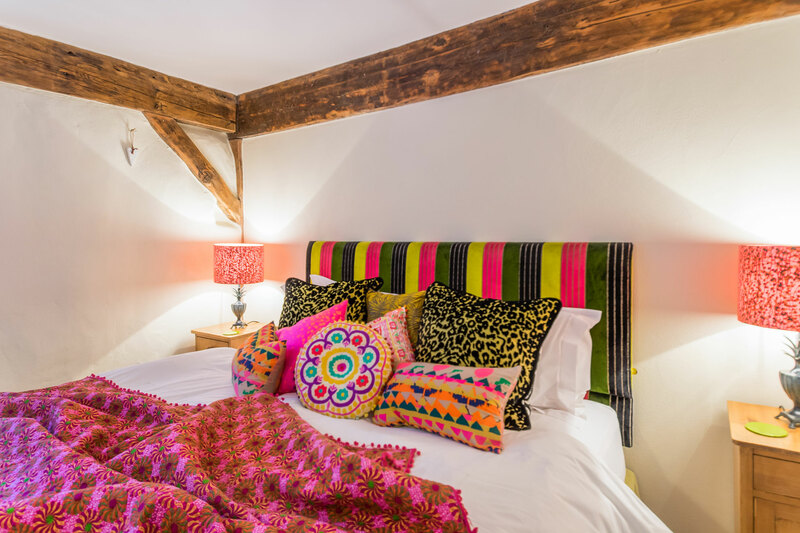 To discuss the suitability of this cottage for your needs please call us on 01726 72128. 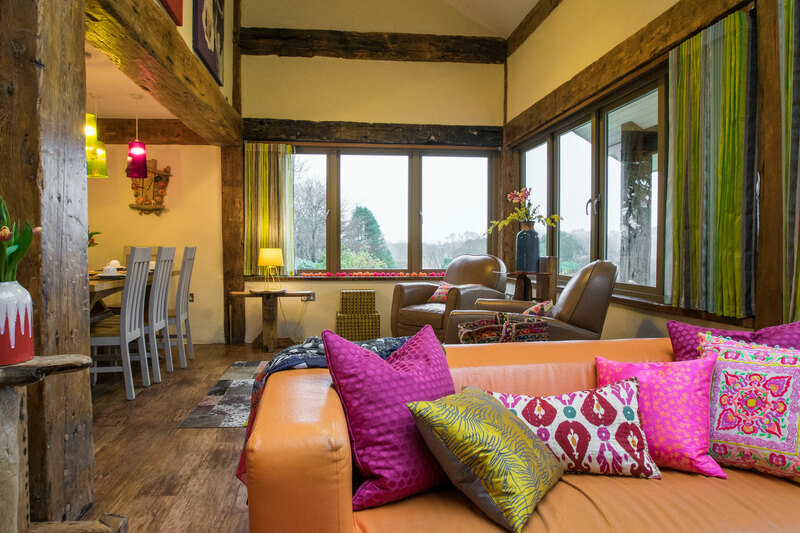 Lowen has under floor heating on the ground floor with radiators upstairs. 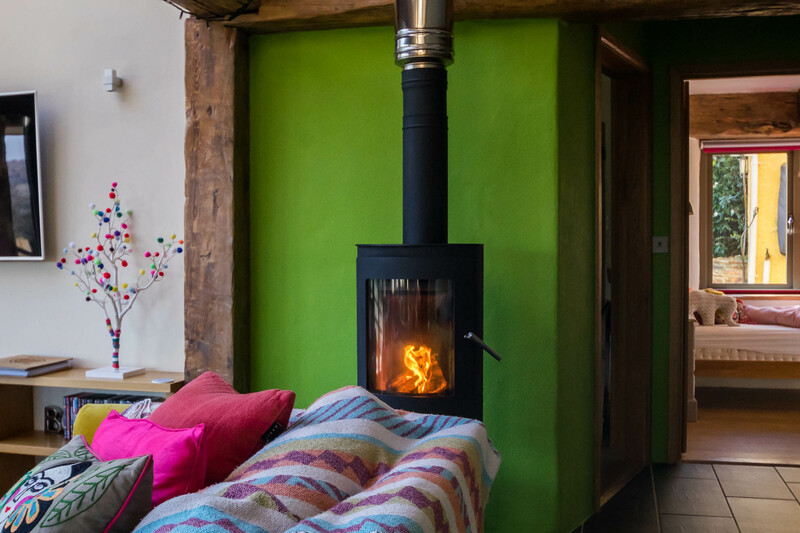 You’ll love the contemporary real woodburning stove in the lounge for cosy winter evenings – logs supplied! Electricity courtesy of Mother Nature! 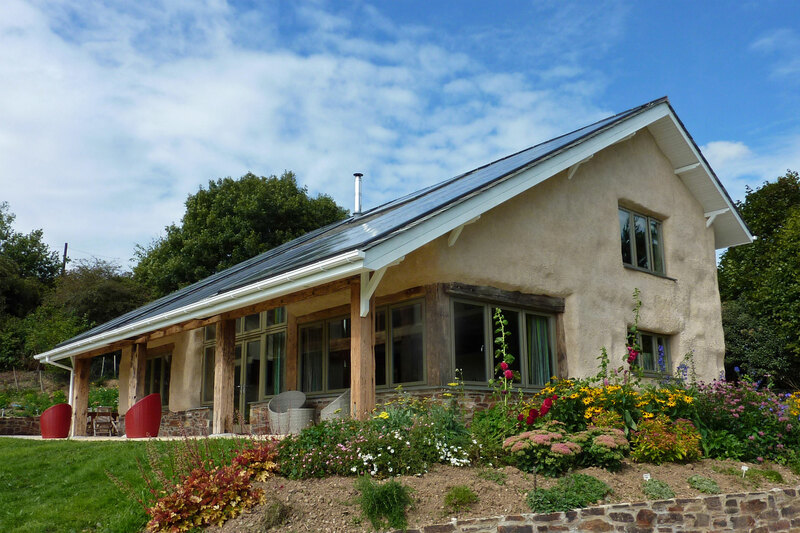 Lowen has its own parking area outside the cottage and a Type 2 EV charging point for electric vehicles. There’s also a shed for storing bikes (and logs). 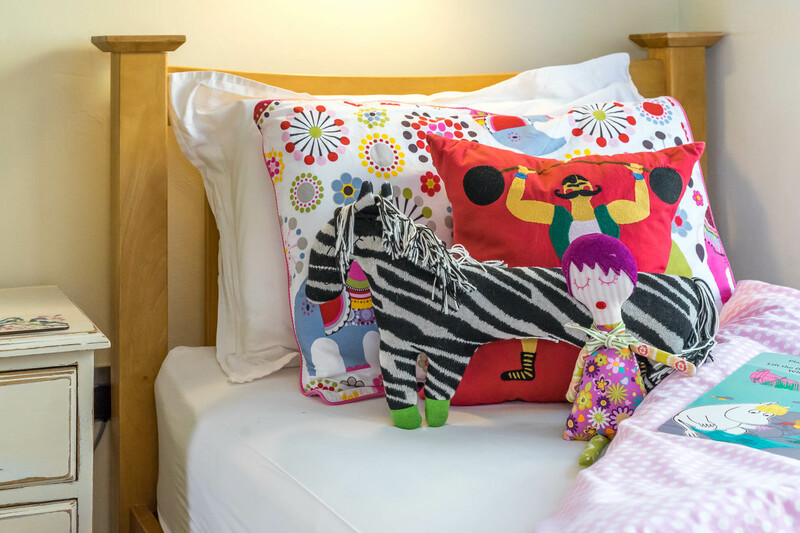 Bed linen is provided (pillows and duvets are hypo-allergenic) plus bath towels and handtowels. Lowen has its own washing machine and drying line in the garden and there are several large tumble dyers in the Laundry room below Jacks Barn. For further info see FAQs. Lowen has its own WiFi.